A tale of two demos. Wolfenstein II: The New Colossus shows how hard it can be to judge a game based on pre-release demos. Coming out of E3, there was no game I was more excited about—we gave it our Best in Show prize. The E3 demo was fantastic, putting longtime protagonist Billy “B.J.” Blazkowicz in a wheelchair, taking down Nazis from waist-level. So when Bethesda offered more hands-on time with the game a scant few weeks later, I jumped at the chance. That’s rare—I usually try to avoid doing more than one preview per game, especially when it’s not tied to an event we’re already attending, like E3 or PAX. And the second demo was...well, maybe not a disaster. Certainly underwhelming though, and at times a complete mess. Now, some caveats: Most of the technical issues I’m going to mention here have already been fixed, I think. Bethesda actually tried to get us to come to another event and re-play the same 45-minute demo with the kinks worked out. It didn't work with our schedule, so no fault of theirs we didn't attend. That in mind, I’m still looking forward to Wolfenstein II. This is less a Wolfenstein II preview, in that regard, and more a look behind the scenes at game previews—at the sorts of judgment calls you have to make when you’re playing a small section of a much larger game, riddled with bugs and half-finished systems and occasionally much worse. We were warned ahead of time. Upon showing up to the demo in early July, we (meaning the crowd of reporters) were informed that the promised video capture would not be happening that day, that the build in question was exhibiting all sorts of odd behaviors the developers hadn’t planned on or caught ahead of time, and so we’d be playing a fairly buggy version of the game. We were told to expect the game to skip cutscenes for no reason, or even crash to desktop. “At least they’re letting me play on mouse and keyboard,” I thought. Then I got in-game and realized there was no options menu, no way to set the mouse sensitivity. Oh well. That happens too. It’s exactly the sort of creative alt-history I loved in The New Order, that blend of actual American events with uncomfortable Nazi overtones. “Alternate World War II” isn’t exactly a fresh concept, but Wolfenstein pulls it off with an unmatched spit-and-polish, from newspapers describing life under Nazi rule to record shops full of Nazified 1960’s bands. Its bizarro small-town America is a feast of references, big and small. 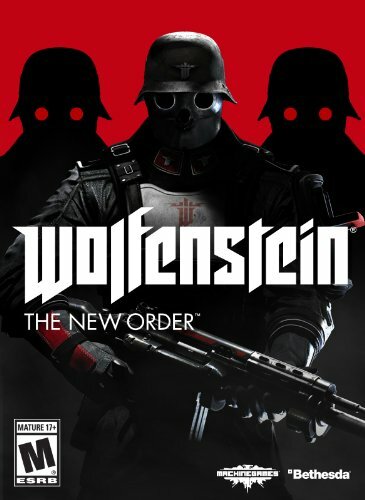 But then we moved into combat, and it’s here I was reminded that for every standout moment in predecessor Wolfenstein: The New Order, there was another hour that felt weirdly generic. Oh, and this was compounded by the fact that the cutscene spanning the gap between “Blazkowicz in a diner” and “Blazkowicz fighting for his life in an underground facility” was skipped by the game build. So yeah, not much to work with. In any case, I ended up underground. Blazkowicz was sent to Roswell to recover some advanced technology to fight the Nazis with, and it was apparently held within some massive subterranean bunker complex. It’s...well, it sure was a massive subterranean bunker. If you fought through any of The New Order’s faux-industrial bunkers you’ll absolutely feel at home in The New Colossus’s faux-industrial bunkers because they’re basically identical. Corridor upon corridor of dark metal for Blazkowicz to creep through, occasionally sneaking up on a Nazi and breaking their neck, then eventually getting spotted and breaking out the big guns to knock out the rest. There are still highlights—particularly a setpiece sequence spanning an underground train, Blazkowicz fighting his way across rooftops towards the engine room. I also think I spotted hooks for stealthy and shoot-em-up players to have different experiences—I crashed the train into the compound, alerting every soldier around, but I think you could potentially stop the train and creep in. Not sure. It was a bizarre demo though, especially in light of the tour-de-force we saw at E3. I’d already seen how high Wolfenstein II could fly, and the answer was “Really damn high.” Then I was given 30 minutes of generic corridor shooting in an environment straight out of 2007. Not quite as impressive. As promised, it also crashed on me. That’s where I gave up. The level ends, or at least I assume it was near the end, with a boss fight against a massive mech enemy—think Deathshead at the end of The New Order. I fought it a dozen times, not realizing I was supposed to shoot off its arms to destroy it. Finally a developer dropped the hint for me and the moment I shot its arms off and killed it? The game crashed. An ignominious end to a not-so-triumphant demo. Again, it’s not that I think Wolfenstein II will be a bad game—I don’t, in any way. Certainly not because of the technical reasons highlighted here. As I said, I assume those were fixed by the time Bethesda tried to schedule another demo. That's the implication, anyway. It does speak to how hard it can be to take an early look at a game, though. Think “Early Access” except oftentimes even less polished. What kind of conclusion would you draw from one fantastic E3 demo and then another, a month later, that’s boring and also half-broken? And it reminded me that The New Order was excellent, but also uneven. 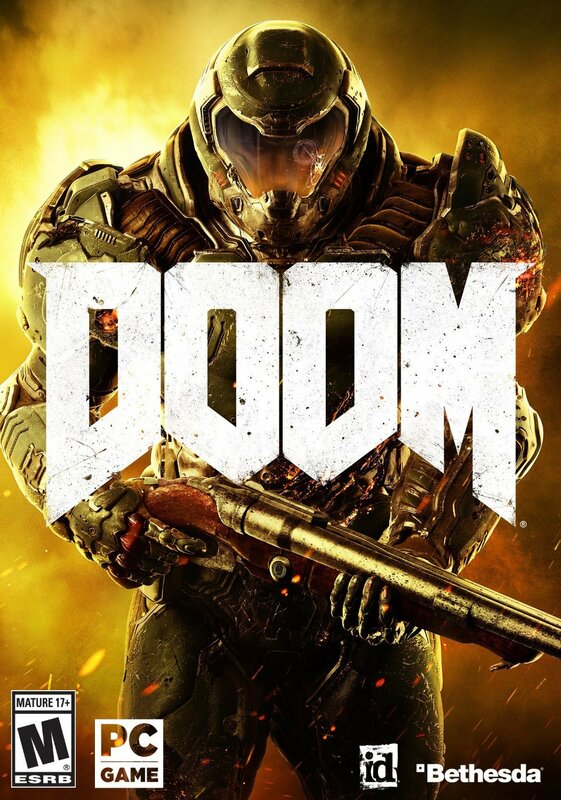 The highs were extremely high, with some of the most creative levels I’ve seen in a shooter backed up by some amazing world-building and one hell of a story. It also had more than its fair share of throwaway levels though, same-y environments and rooms full of fodder enemies and downtime that seems especially unbecoming in light of the frenzied pace set by Doom. The New Order is one of my favorite games, but flawed. I expect The New Colossus will be the same way, bugs or no. Look for it when it releases October 27.